Constitution Day is September 17. This is an opportunity to incorporate civic learning into the classroom or dinner table discussion. Good discussion topics include the role of the President as defined in the Constitution, Bill of Rights, the First Amendment (Freedom of Speech), Voting Rights and more. There are many excellent resources and lesson plans available, covering just a few minutes to entire class periods and more. High schools have the additional opportunity of hosting a student voter registration drive - use this opportunity to explore the right to vote and also celebrate NC Voter Awareness Month. 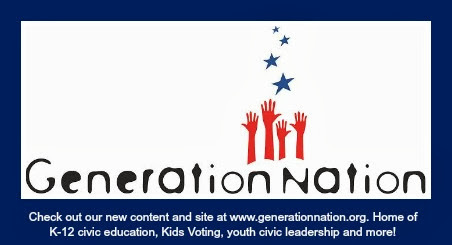 Contact GenerationNation to set up a voter registration drive in September/early October (Board of Elections must have completed forms in hand by October 12 at 5PM).